Shipping schedule for Malaysia Orders: Mondays to Saturdays excluding public holidays. Shipping schedule for International Orders: Mondays to Fridays excluding public holidays. 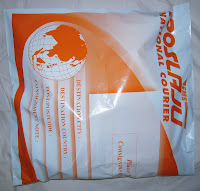 SensualGifts.net offers free shipping within Malaysia (including Sabah and Sarawak) when you order 2 lingerie sets. *Please take note that G-strings, thongs, individual garter and stockings are not considered as a lingerie set. If you buy lingerie defects you are not entitled to free shipping. Malaysia has imposed a 6% GST Tax and poslaju has increased its shipping rates to include the GST. For international orders, we ship via Aramex. Delivery is within 4-7 working days. For Malaysia/Brunei customers: Please transfer payment to our Maybank, CIMB or Hong Leong bank account using Internet banking, ATM machines or cash deposit. For Singapore/Brunei customers: Please transfer payment to our POSB account using Internet banking, ATM machines or cash deposit. We will give bank details once you have confirmed your order. We accept all major Credit & Debit Cards via our 3rd party payment gateway PAYPAL. International customers can arrange payment via PAYPAL. Due to sanitary reasons, there will be no exchanges. All items are brand new, and will be carefully checked before being dispatched. We are not responsible for any losses or damages of the package or content during shipment. By placing your order with us, you have agreed with our terms and conditions. Shipment is discreet. We declare all the items as apparels in the description. All lingerie are wrapped in their original transparent packaging and will be enclosed in either Poslaju's or Aramex's envelope.